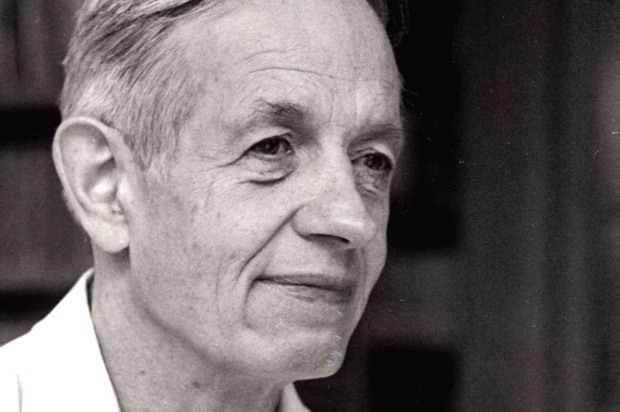 John Nash devised a supremely rational, Nobel Prize-winning model. He was also a supremely irrational man. How can this be? Madness is the non-legal word for insanity; it is a state of severe mental illness, expressed in the form of mental and behavioral patterns that violate social norms. Over the centuries, men have been called mad as March hares, mad as hatters, wet hens, meat axes, sacks of ferrets, boxes of frogs, scientists. They have been shunned, feared, worshipped, locked up, hung, boiled, chilled, and roasted. The terminology and methods have changed, but madness, and mad men have persisted. In existing, and in making some of the greatest contributions to the betterment of mankind. Abraham Lincoln, sixteenth president of the United States, abolished slavery and reunited the Union and Confederate States after a bloody civil war. He also suffered from debilitating depression. Ludwig Van Beethoven composed Symphony Number Nine, “The Choral,” one of the most beautiful musical pieces in history, and raised instrumental music to the highest plane of art. It is also believed he suffered from bipolar disorder, just like Sir Isaac Newton who, beyond his famous apple-inspired theory of gravity, invented calculus, developed the laws of motion, and built the first reflective telescope. And then a few of my own heroes: Vincent Van Gogh, Tennessee Williams, Ernest Hemingway. Of all the mad men of history, there is one I would like to recognize today, a man who said that “to some extent, sanity is a form of conformity.” John Nash Jr.: American mathematician, recipient of the 1994 Nobel Prize in Economics, and diagnosed schizophrenic who died on the 23rd of May, 2015. Nash’s dissertation, a twenty-seven page paper he wrote when he was twenty-two, revolutionized a concept called game theory: “the study of mathematical models of conflict and cooperation between intelligent rational decision-makers.” What Nash did, in lay terms, was apply this model to real life situations involving interactive decision-making, and calculate the optimal “Nash equilibrium” at which no player would change his strategy, even if he knew his opponent’s choice. Whether in economics (oligopoly, entry and exit, market equilibrium, search location, bargaining, product quality, auctions, discrimination, public goods), politics (voting, arms control and inspection, offensive and defensive military strategy, deterrence), biology, psychology, logic, or computer science, no other mathematical solution concept has been more widely or practically applied. “It is an intellectual tool—a way of organizing our thoughts systematically, applying them in a consistent manner, and ruling out errors.” A supremely rational, Nobel Prize-winning model. Devised by a supremely irrational man. Schizophrenia first affects patients in their late adolescence or early twenties. Symptoms include visual and auditory hallucinations, delusions, and disorganized thoughts. In Nash’s case, they appeared in the early months of 1959. Incurable and incapacitating, schizophrenia blurred his perception of reality and plunged his life into chaos. Still, with the help of his wife, sister, friends, and colleagues, he overcame. So long as man and society exist, madness will prevail. But perhaps that is just as well, because life itself keeps proving its own madness to us. “Baby, baby, it’s a wild world,” and it is hard to get by just upon a smile. Perhaps it takes a little madness to make something beautiful of it. Madness is a deviation from a norm that keeps changing. We have turned it into an ugly word. Mark Haddon, who manages to phrase everything more beautifully than the rest of us mortals, calls it “cognitive difference” instead. I much prefer that term. Perhaps the difference between a rational man and a mad man is the same as that between a raven and a writing desk. “And then I will get a First Class Honors degree and I will become a scientist. Born in Lebanon, Yara has traveled and lived in Glasgow, Washington, and Paris. She is a Fulbright scholar with a Masters degree in security studies and an all but completed PhD in international affairs and diplomacy. More importantly, she is a writer, a political analyst, and a daydreamer. Yara has an upcoming travel novel, “Letters Unsent,” to be released in 2015. Her blog, “Aristotle at Afternoon Tea”, is a compilation of weekly essays on politics, art, culture, economics, literature, philosophy, and wine.